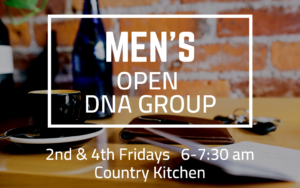 All men are invited to join in an open Discipleship/Nurturing/Accountability (DNA) group that takes place the second and fourth Fridays at 6:00 AM at the Country Kitchen in Grand Rapids. Join us for breakfast, a short video and some good conversation before work every other Friday. We hope to see you there! 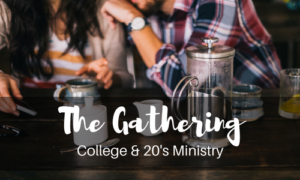 College & Young Adults in their twenties are invited to join in a casual evening of "hanging out". We'll share a meal, have lots of time for conversation, maybe play some video games or watch a movie. Explore questions of faith and what it means to follow Jesus in this stage of life.